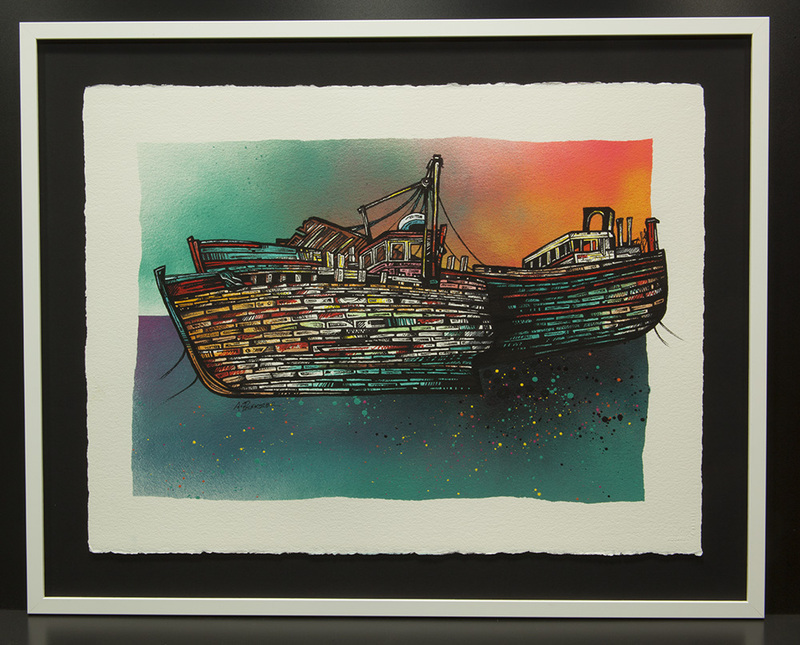 Original painting & prints of The Isle Of Mull & The Salen Trawler Boat Wrecks, Hebrides, Scotland. An original painting and prints of the fishing trawler boat wrecks at Salen, Isle Of Mull, Hebrides, Scotland. Framed (white frame with a matt black back drop inside) original mixed media painting in ink, Promarker, acrylic paint and spray paint on 600gsm Watercolour Paper. Painting & prints of Salen Wrecks, Isle of Mull, Hebrides, Scotland. Paintings & Prints - Salen Trawler Boat Wrecks, Isle Of Mull, Hebrides, Scotland.